I only entered two pieces in the State Fair this year. They both placed! 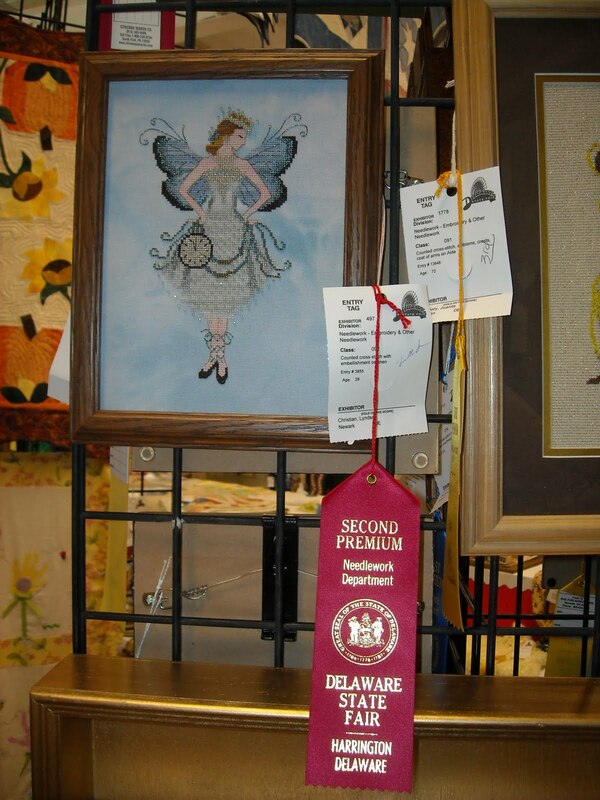 - My "Miss New Years Fairy" won 2nd Place in the "Counted cross-stitch with embellishment on linen" category. 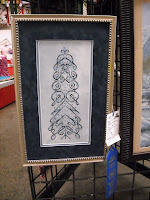 - My "M-Designs Personalized Name Tree" won 1st Place in the "Counted cross-stitch item on linen, 8"x10" or over" category.